© Christian Schulte Get a look at VW's dune-buggy concept-familiarly known as the E-Buggy. 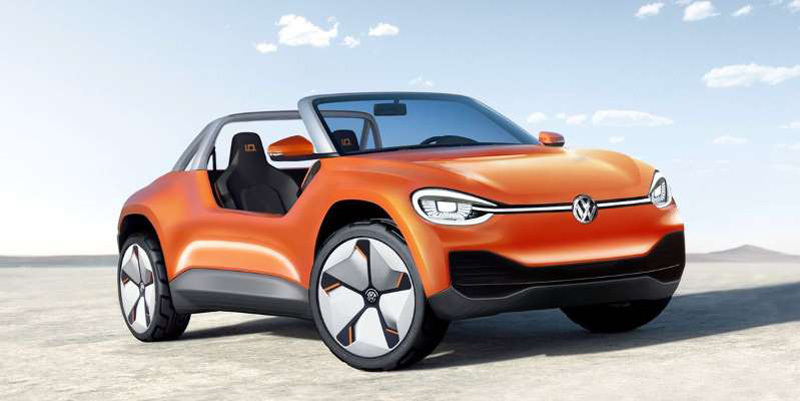 Volkswagen's iconic dune buggy returns in concept form with a shocking twist-it's now fully electric. 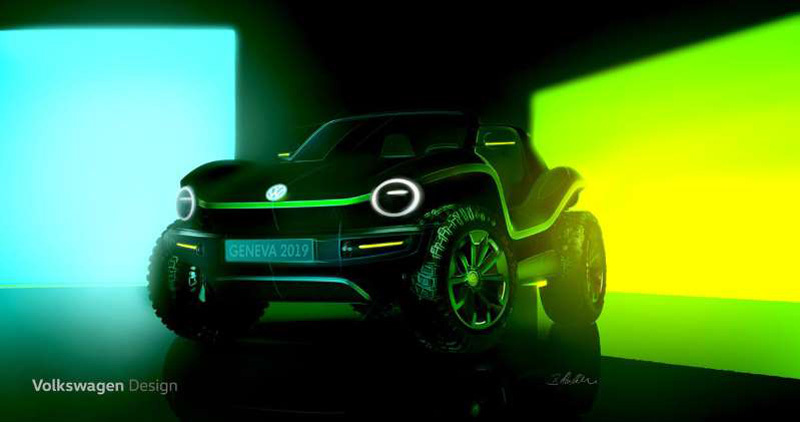 The Electric Buggy concept off-roader—also called the E-Buggy—will be officially revealed at the Geneva auto show in March, but in the meantime the company has released some new details and neon-colored images to feed our anticipation. 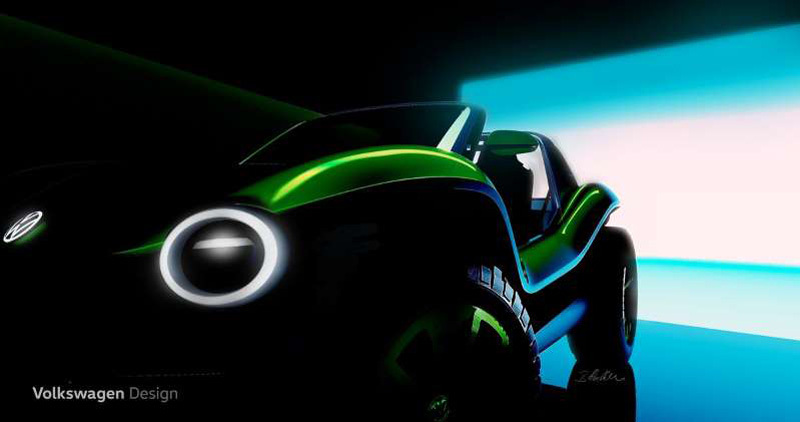 We also have an artist's illustration (above) of what the E-Buggy could eventually look like if it ever enters the realm of possible production.